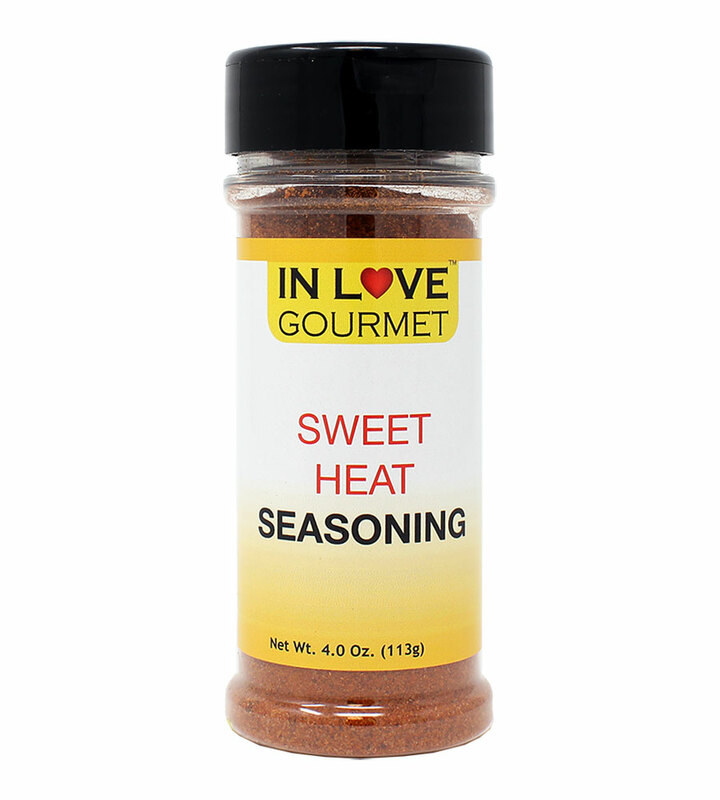 In Love Gourmet® Sweet Heat Seasoning 4.0 oz. 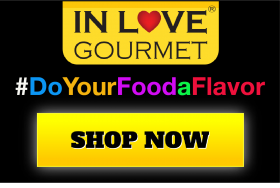 French Fry Seasoning, Sprinkle on, Fries, Meats and Veggies for a Supreme Treat, Seasoned French Fries Sweet Heat Seasoning is great on fries, meats, poultry, veggies and more. This flavorful seasoning is unique, giving the right amount of heat and a tremendous amount of flavor. Hickory salt, garlic, chili powder, Turkish coffee, honey powder and other spices. Suggested Uses: Sprinkle on fries, meats and veggies for a supreme treat.